Very well made and good quality materials. Look at my photo and video. 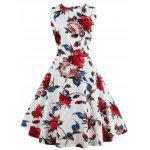 This dress is very beautiful!!! Watch my video of the dress!!! Bom vestido, bonito e bem feito, recomendo. Nice product, good material, like in image. The size it's little bite big compared with reality.